By logging in, you agree to the terms and conditions in our legal notice. You can find your Policy Number and ID Number on your Membership Card. 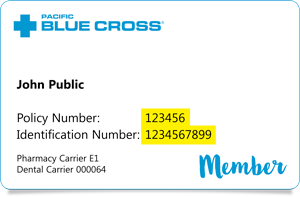 Pacific Blue Cross houses and maintains our Members' data using Canadian-located systems, so you can take comfort in knowing your health information is stored right here in Canada. Not logging in as a Member?